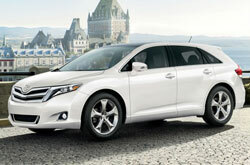 2013 Toyota Venza research and review from Kenny Kent Toyota, The trusted resource. Good Venza reviews are hard to find; let the stellar Toyota retailer in Evansville put it all in one location for you. 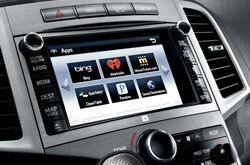 As you read this article, you'll see that it is filled with practical data on all of the things you'r looking for in the new Venza. Good luck on your Venza search! Comparing the 2013 Toyota Venza to against vehicles like the 2013 Hyundai Veracruz, Ford Edge, Honda Pilot, Nissan Murano, Subaru Outback and the Chevrolet Traverse, and you will catch that the 2013 Venza outperforms the competition in gobs of areas. Look through our bullets to see why! Get real factory parts and spectacular workmanship from Toyota technicians at a site that's just a quick journey from your pad. At our Toyota auto repair center in Evansville, we offer this and a extensive warranty on all services! Don't dismiss repairing your Toyota. Turn to Kenny Kent Toyota's expert mechanics. Whether you're searching for cheap transmission repair or less tricky work like brake pad replacement or conventional oil changes, we'll take care of it! And these things are only a chunk of the services we do. It's crystal clear: If you want hot shots service and low-cost repair prices in Evansville, make Kenny Kent Toyota your first stop for Toyota vehicle maintenance. Get tremendous savings - before you drive over to our repair unit, bring a coupon. Click the link under this paragraph!